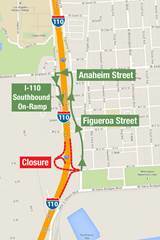 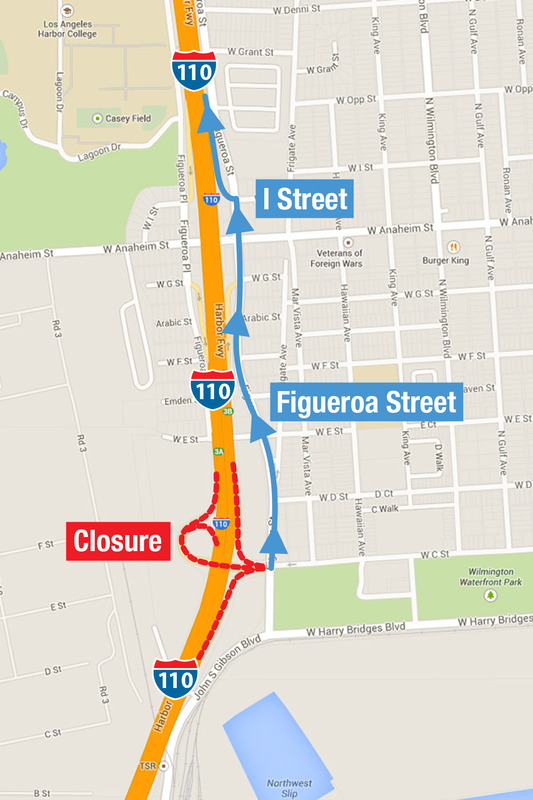 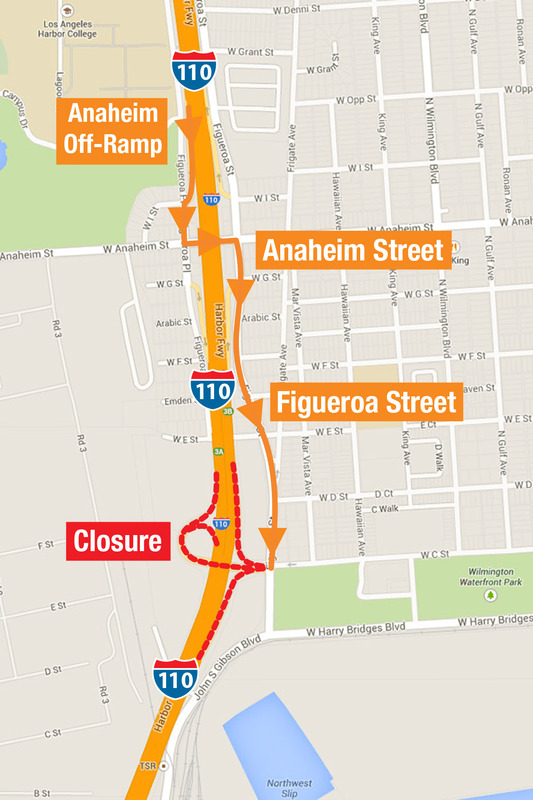 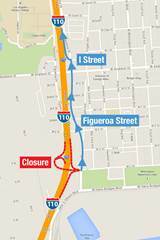 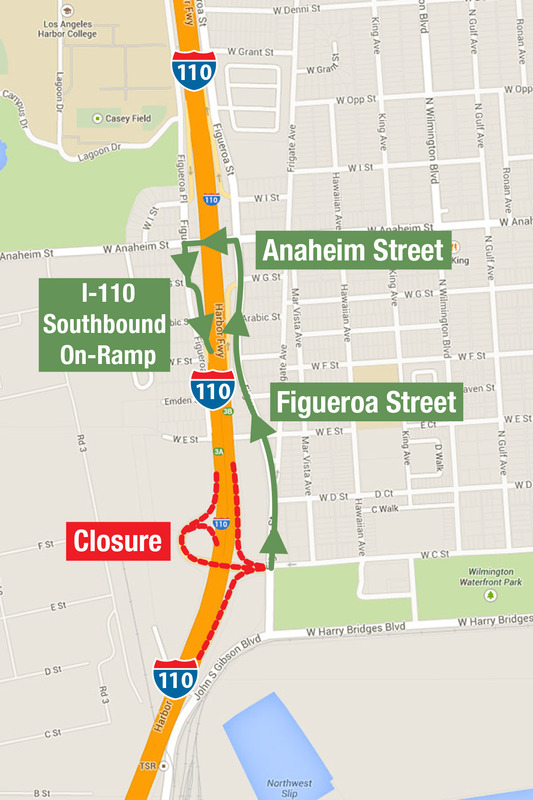 WILMINGTON, Calif. — September 3, 2014 — The "C" Street on- and off-ramps on Interstate-110 (Harbor Freeway) will be closed from Friday, September 5, 2014 at 7:00 p.m. through Saturday, September 6, 2014 at 6:00 a.m. to remove existing overhead sign structures on the I-110 freeway. 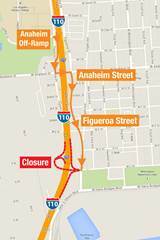 Please follow posted traffic signs accordingly. Similar closures are anticipated to occur during the duration of construction. 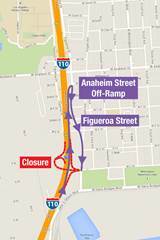 For future updates, visit www.portoflosangeles.org or call Chris Trinidad, Project Construction Manager at (310) 732-3617 or (424) 477-4677.